Samsung has added new Galaxy Note 10.1 S-Pen applications on its UK site. The Galaxy Note 10.1 comes with a range of software and games embedded and a selection of apps to download, with over 100,000 free downloads available in Samsung apps. Use the Galaxy Note 10.1's S-Pen to make pin-point accurate works of art or edit photos on the 10.1 inch screen. With nine bespoke apps for the S-Pen available for free, there's something for everyone. Try your hand on the decks with Drop the Beat – a creative way to build musical rhythm – using the S-Pen and a circular creation station! Drop 'beats' into the creation station speaker and the beats begin to play. The more 'beats' you drop, the more interesting the rhythm. Or stick to listening to your favourite chart tracks; The Official Top 40 Chart app gives your Galaxy Note 10.1 unlimited access, free of charge for 8 weeks. For little ones Spot the Difference features fun characters with five differences to find on each one – every character is unique and designed to appeal to children. Kids can also try Where Is It?, where the goal is to find various objects in a busy scene full of life. Incredibly detailed drawings will have players endlessly captivated and finding the missing object is only half the fun. 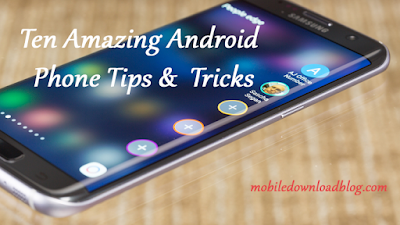 Easy Phone Sync is also available free from Samsung allowing you to simply transfer iPhone and iTunes media – including music, videos, podcasts, pictures, contacts and text messages – from iOS to Samsung Galaxy android devices including the Galaxy Note 10.1. The Galaxy Note 10.1's large screen is great for gaming. One of the world's most beloved racing franchises, Need For Speed Hot Pursuit is available for free download to Galaxy Note 10.1 customers across the UK, featuring stunning graphics and racing gameplay from Electronic Arts™. Trace-A-Face or You Draw, challenges the player to draw a new subject every day. Create a masterpiece, and post it to the public gallery, compare a drawing with other people and post the finished drawing to Facebook. Also featuring the ability to save a drawing for editing, view it later or build up a gallery. What's more, exclusively available to the Samsung Galaxy Note 10.1 in 2012, "WIRED Note Edition" allows the reader to access the October, November and December 2012 editions of the award-winning magazine free of charge. WIRED Note Edition includes specially designed Note functionality-enhanced for the Samsung S-Pen. This app represents WIRED's first foray into the Android market, and for the first time includes features specifically designed for a stylus. To download the above mentioned apps, visit to the THIS LINK.